Greetings from Switzerland on yet another dreary, January day! First of all, I would like to apologize to my readers for my blogging absence. 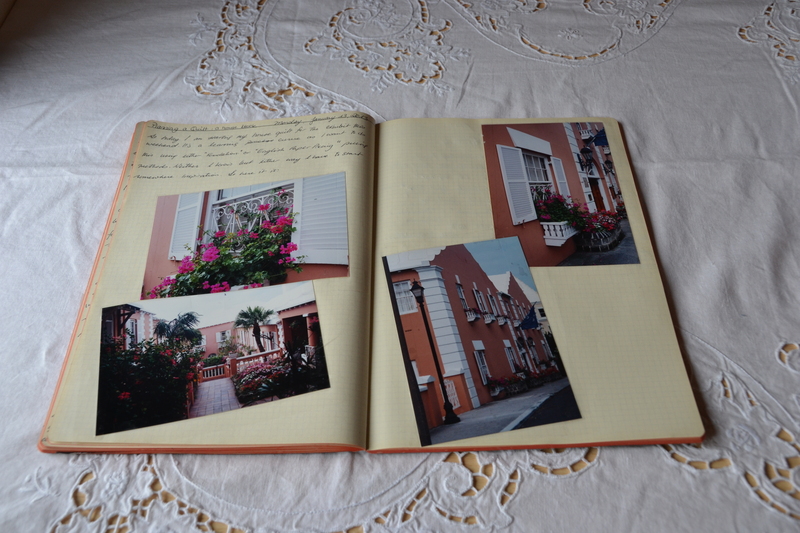 I have lots of photos though, to help make up for it. Since I last wrote, I have been very busy learning a lot of exciting new things, some of which, you can get a glimpse of, below. I will try to post more on these topics as soon as possible. 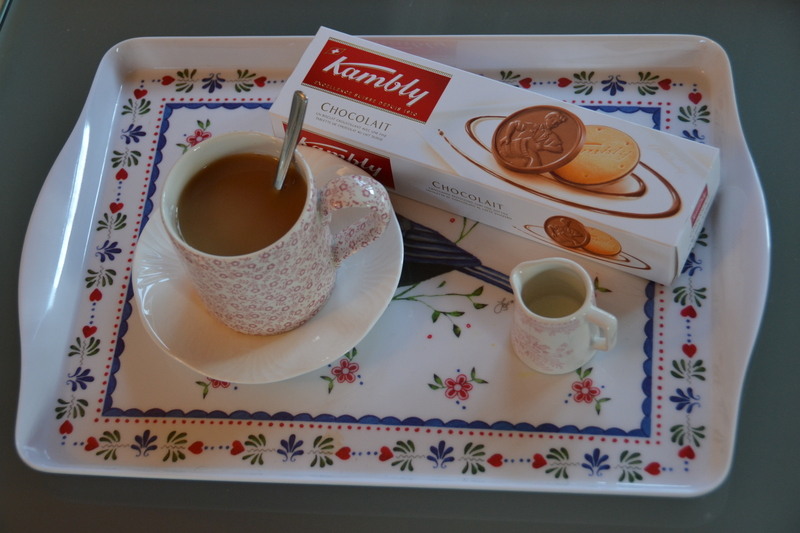 Hand Quilting Essentials: A nice cup of black tea with milk and sugar and my favorite Swiss cookies. 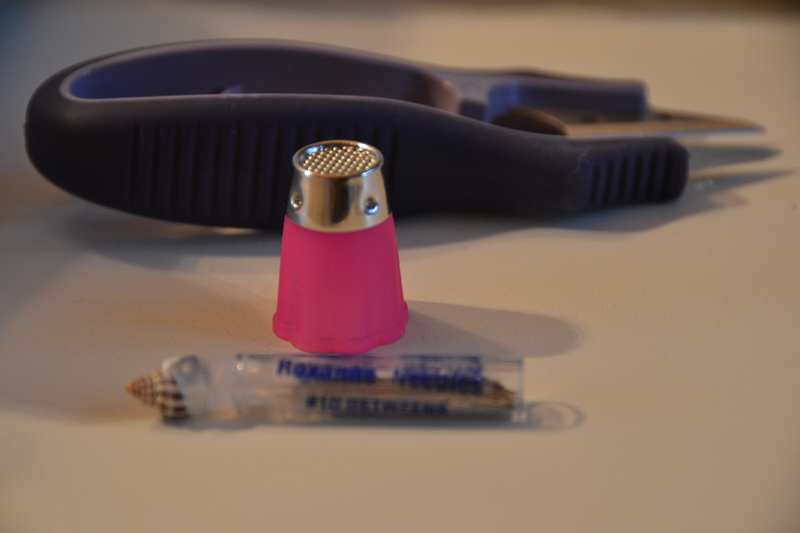 My Hand Quilting Essentials: Clover Thimble and Roxanne #10 Betweens. The purple snips are a pain! 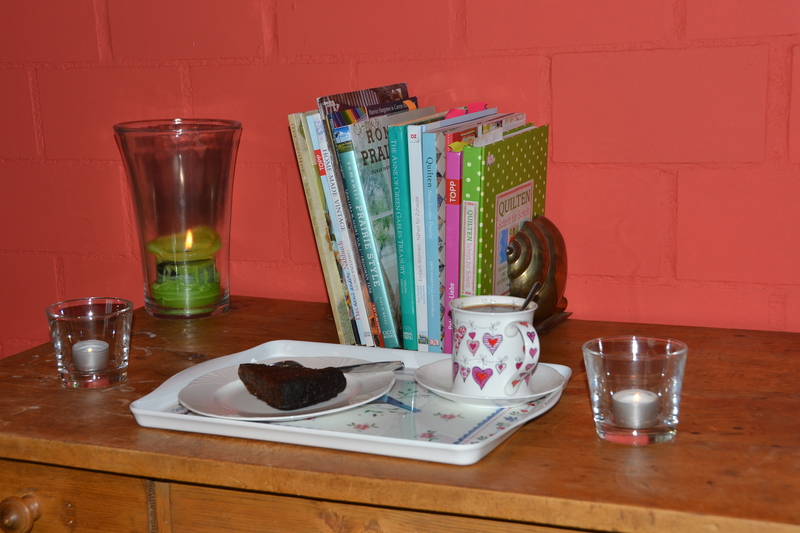 A little me time in my Creative Space: A cup of Tea and the last piece of Black Cake. Tracy’s mom sent T. her Christmas Cake straight from Trinidad. And it was still delicious!! 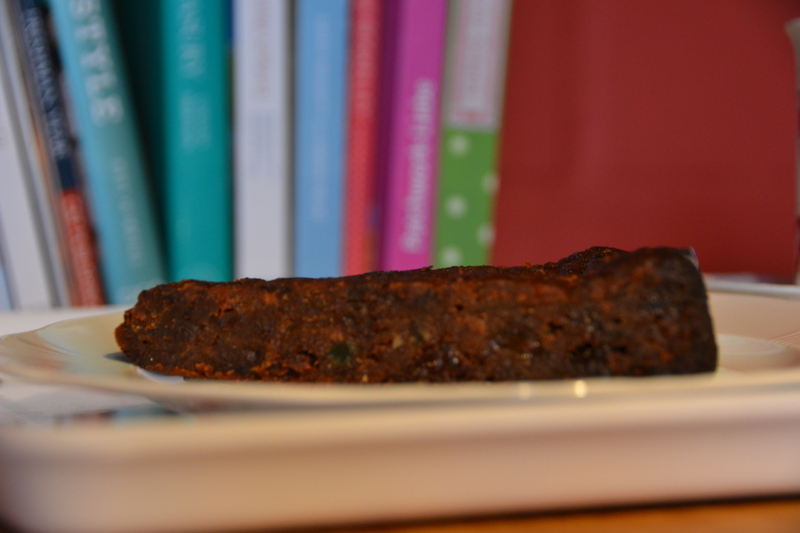 I definitely want to make this Trinidadian version of Fruit Cake. Blog what you love! 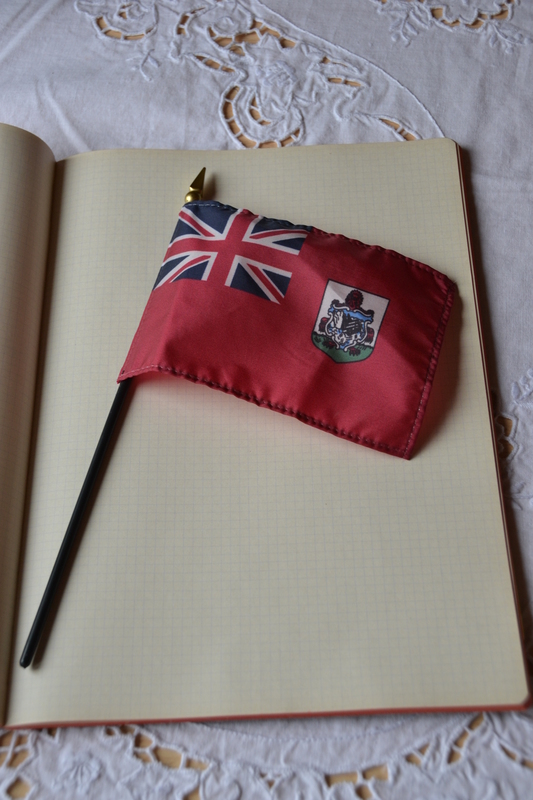 This week I’ve been planning a few future posts. A ‘Scrappy’ Shot. Love Photography! 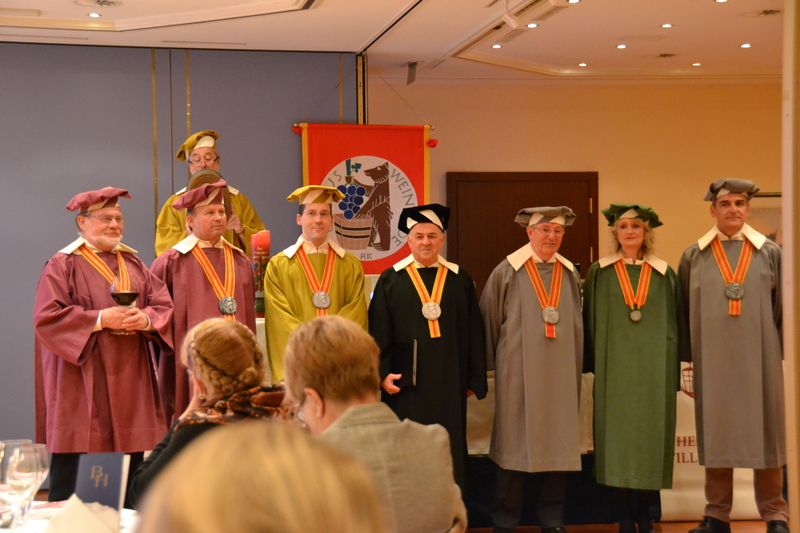 Annual Wine Guild Gala Dinner at ‘Bad Horn’. That’s the name of one of my favorite local hotels. 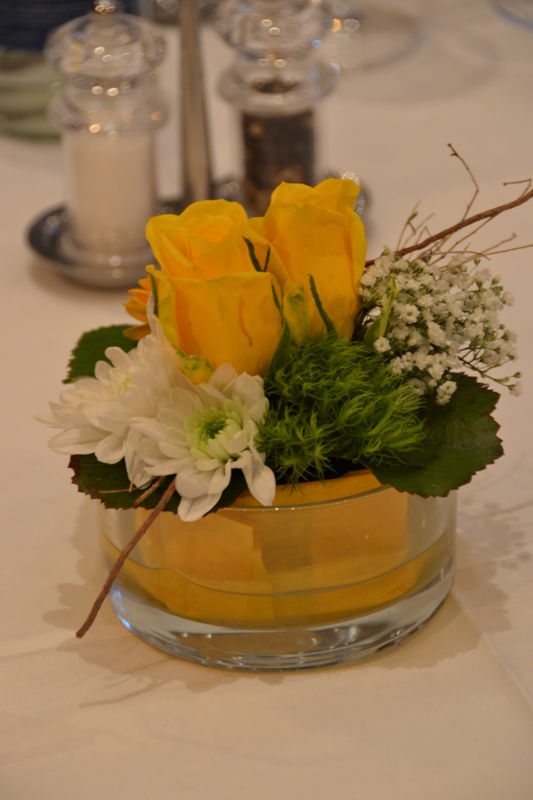 Simple Flower Arrangement at ‘Bad Horn’ Gala Dinner. 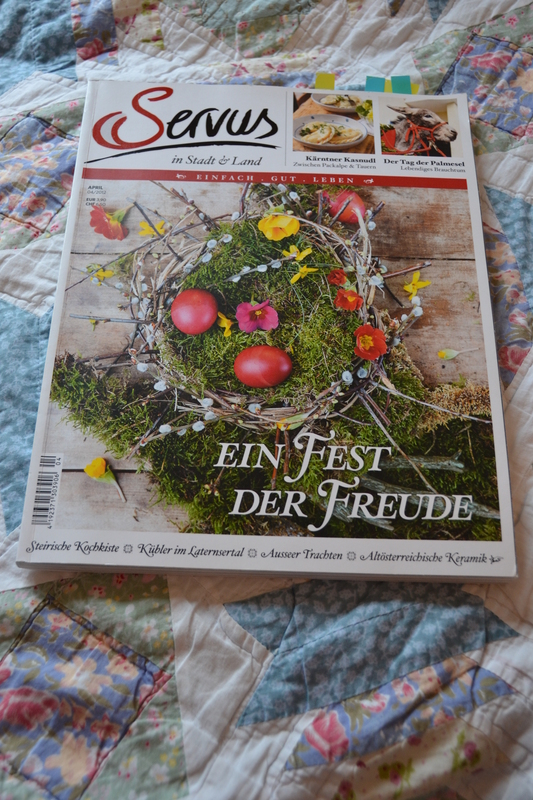 A ‘creative date’ with myself and a nice Austrian magazine that has been sitting on my shelf for a few years, waiting for a photo shoot. It’s the Austrian version of Country Home/ Country Living. I love picking up foreign magazines. 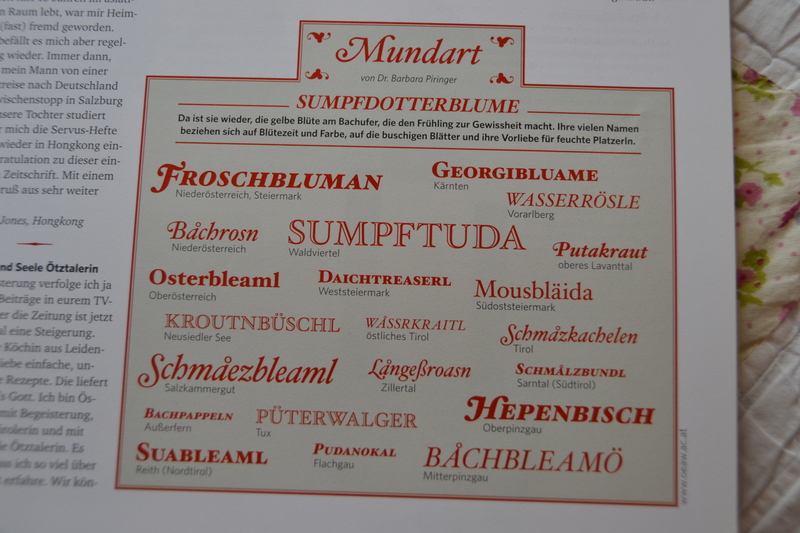 This Austrian one “Servus” has a great section about local Austrian dialect, which for someone who is interested in languages, is a lot of fun to read. 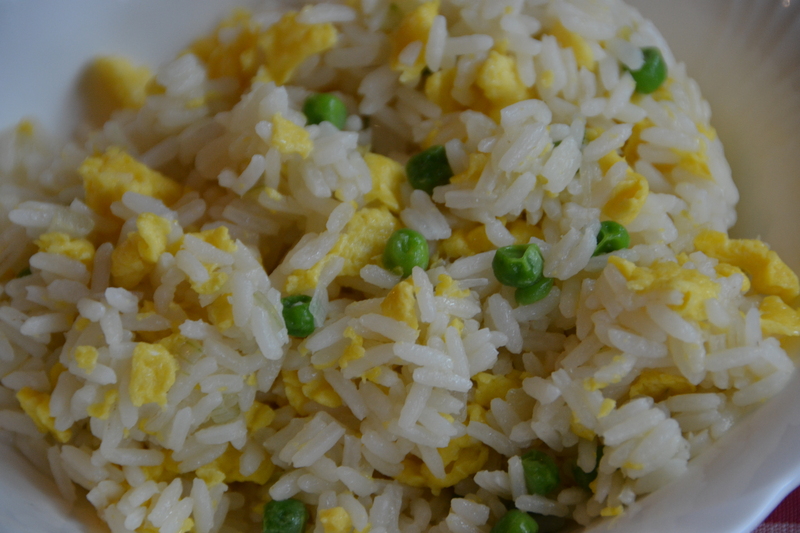 Made “Gebratener Reis mit Ei” from my big rice cookbook. Can’t remember what this is called in English! I had never had it before, will certainly add it to my Emergency Cooking recipe box. 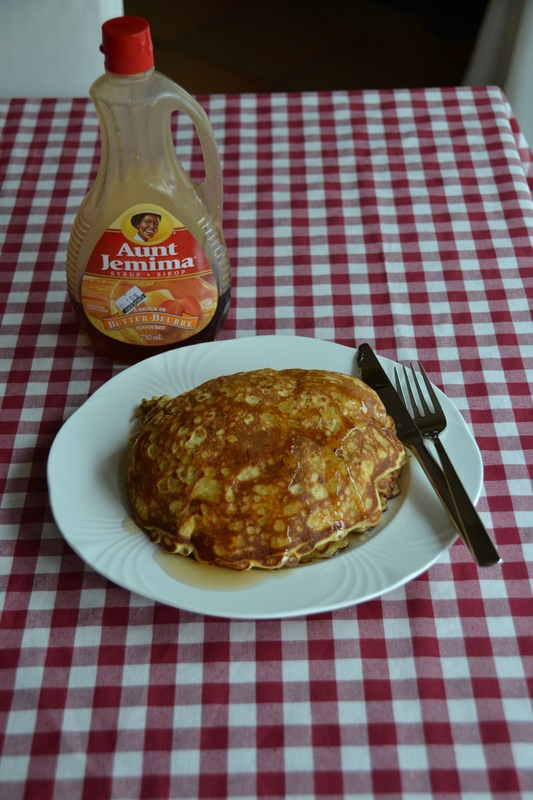 Pinterest Cooking: Oatmeal Pancakes Recipe from the Eatniks blog. Loved them!! 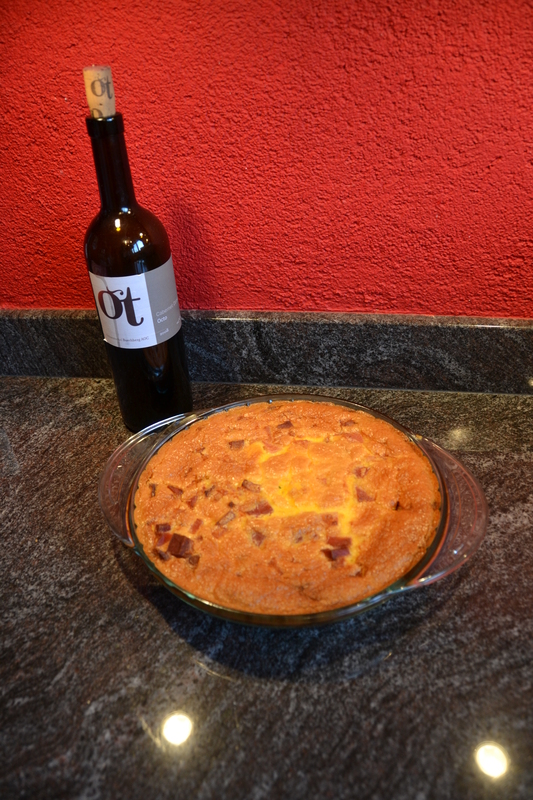 A late night cooking adventure: “Milchreis” Somebody special’s favorite. 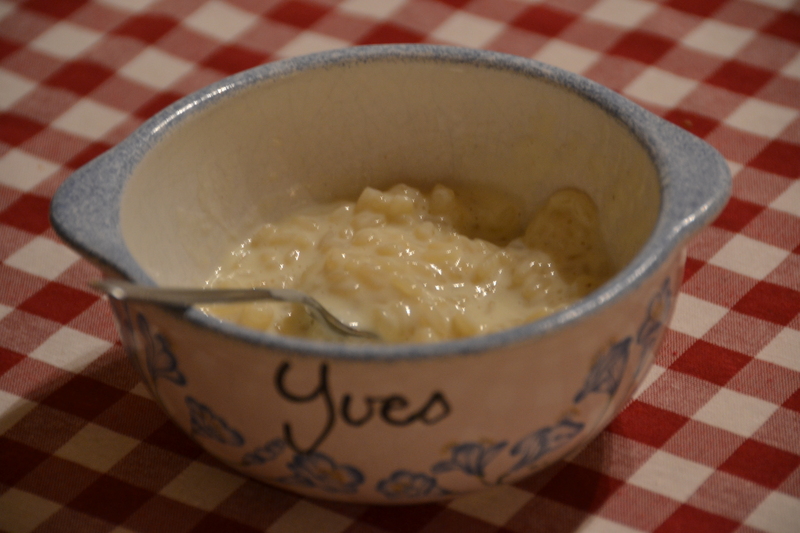 I had never made REAL tapioca pudding, or do you call this rice pudding when it’s not out of a box? You have got to try making this from scratch!!! 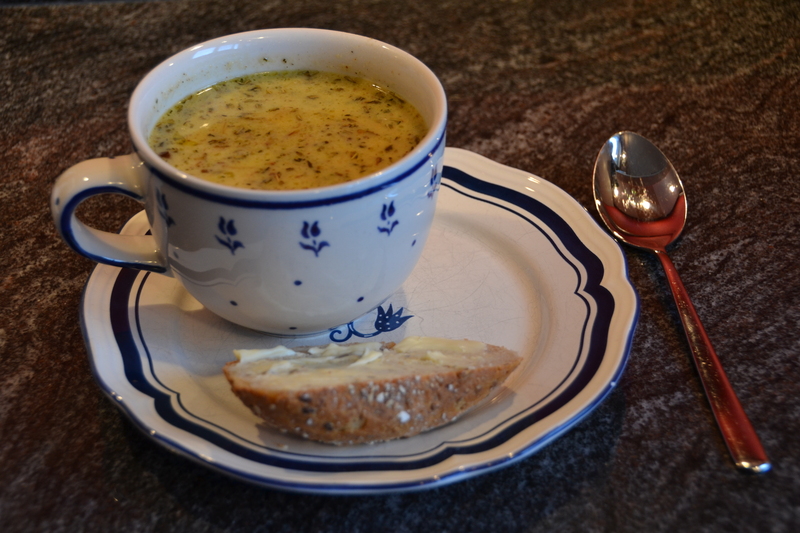 Pinterest Cooking: This was the Roasted Garlic Cauliflower Soup I made. It was delicious considering it has cauliflower in it. Another one for Hubby. 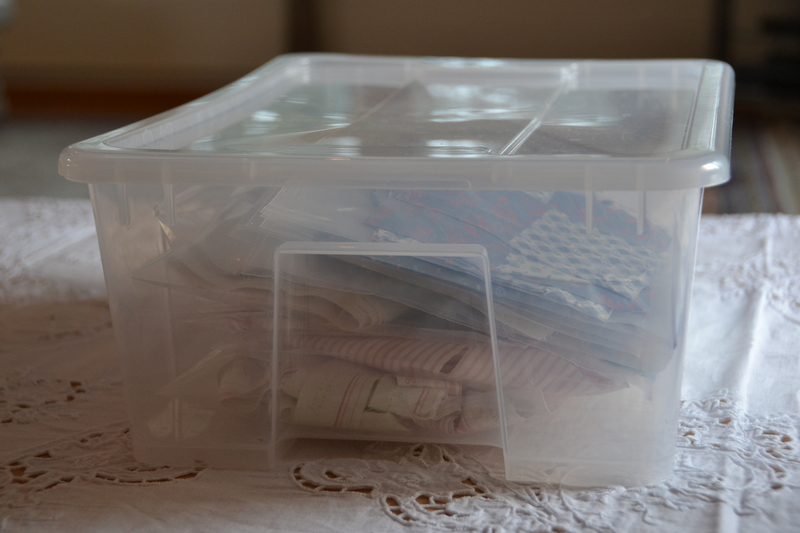 Yesterday, when I decided to start the beginning of my blogging week with a “beginner quilter” series, I thought I had the idea all sussed out. I thought “ok, this will be easy”. I mean I have been plotting* and planning the launch of this series since before this blog existed! As usual, nothing is as easy as it seems at first! 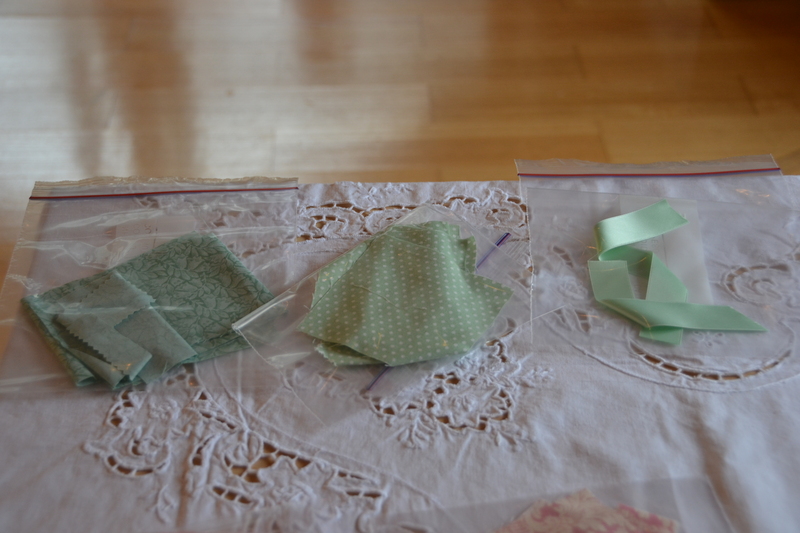 Take quilting for example. 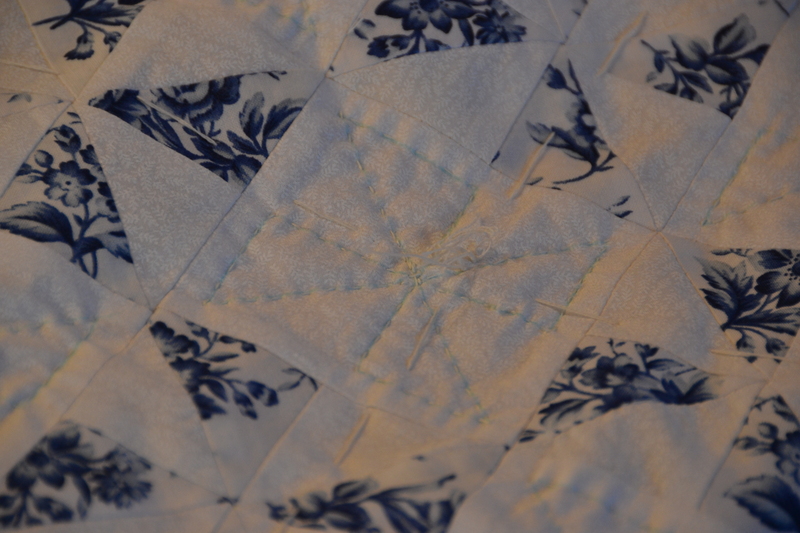 I know I should give back to the quilting community that has given me so much support over the last year. 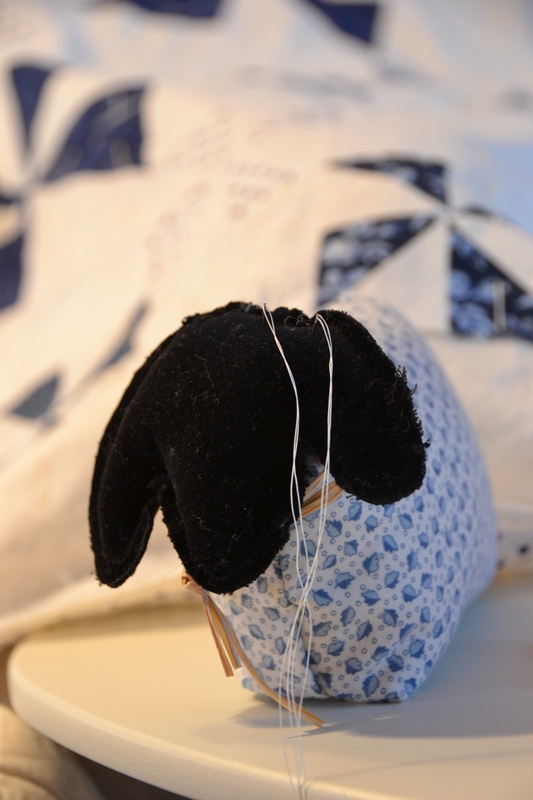 I realize that I should be putting out tutorials into our online community, but after a lot of thought, I have decided that tutorials, maybe just aren’t my thing right now, because I am a ‘beginner quilter’. As quilters, beginner or not, we all have something to offer to our quilting community both on and offline. I am in the process of finding out what my personal and Quilty goals are, so I can update my blog, in order to make my blog a ‘springboard’ for achieving those goals and for leading the Blogging and Quilty life that I want to live. I’m sorry if I am stressing you out talking about goals, but I have learnt that making goals and meeting them is my way of maintaining a stress free life and that is my ultimate goal. For any of my, Quilty or Non Quilty, readers who may have actually read this post to the end, I thank you!! If you have anything to comment on, from this post or in general, I would love to hear from you! * I mean the literary term here. I love foreign magazines too. 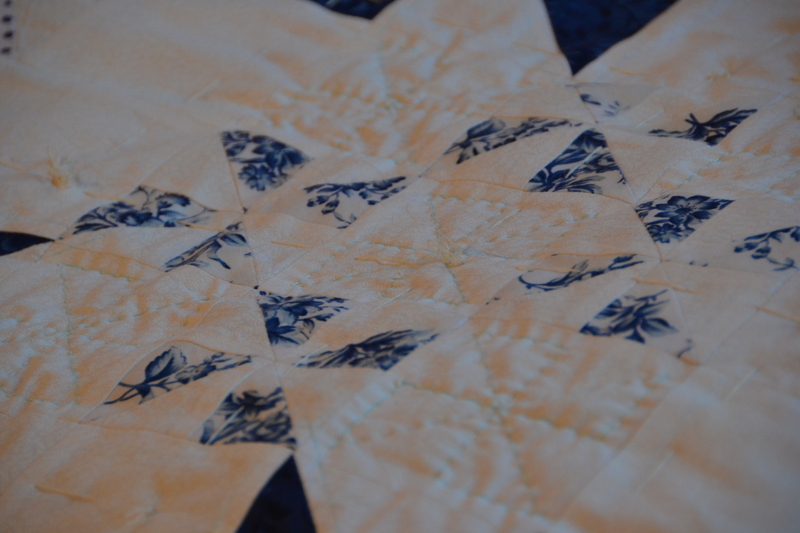 How fun that you have been quilting – I hope to learn some day. Those swiss cookies look good too! Well hopefully I can inspire you you to start. It was certainly the second best decision I’ve made. To learn to quilt. Just try it! 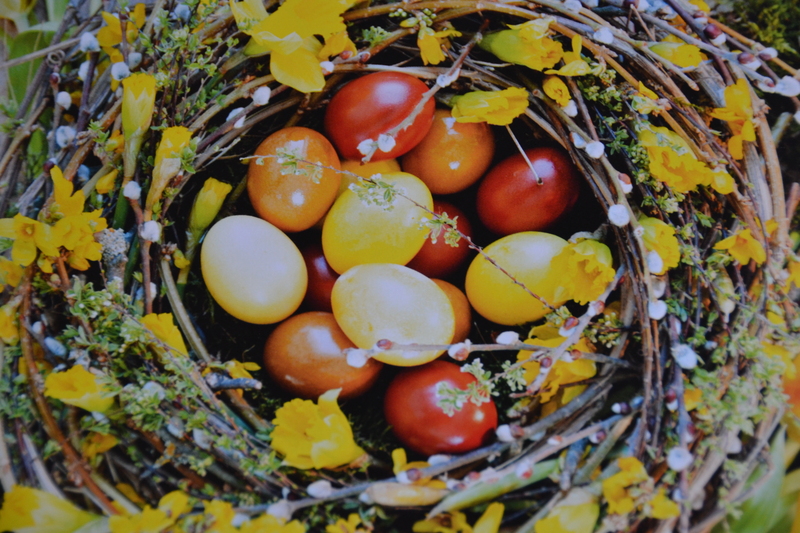 It is a great way to make something for your family that is lasting and beautiful! Thanks! Miss you guys! I will try to call soon! Thanks Robyn love reading your comments. Or any comments for that matter. But actually happy to finally have gotten to the bottom of sorting though all my emails so I am finally caught up on life. For the moment. I love inspiring you or giving you an inspirational kick in the but. I know sometimes we need that. It’s snowingg!!!!!!! Finally here!! Just sitting in my hole looking out. Going upstairs in a minute to have some lunch!!! Love you!